Tourism in Zimbabwe has always been one of the bedrocks of the economy. Our concern for the environment remains limited to pollution, population growth or global warming. Most of us are selfishly concerned about issues that affect us directly. Seldom do we brood over the problems of poaching and the like. I will admit that my concern about poaching also has some selfishness embedded in it. One of the highlights of travelling is seeing animals. Poaching threatens to rob me of this. It threatens to rob future generations of the pleasure that I have so often enjoyed. Poaching and trophy hunting are not uniquely Zimbabwean problems. They are rife in most parts of Africa. Where there are animals and a market for their task, bones, hide; there are people willing to kill them. While some events of poaching get worldwide media coverage and face outrage of the commons, a greater number of killings fail to draw any public attention. Media coverage enables the concerned authorities to raise their voice valiantly against such offense. Media coverage makes sure that governments and other authorities are held accountable for issues that are happening under their watch. An incident ignited a revolt across the world a few years back. You will have heard of the prestigious lion Cecil, who was killed two years ago. Well, Cecil’s son, Xanda, has had the same fate. Tourists, in large numbers, would travel Matabeleland North, Zimbabwe, just to visit Hwange National Park, where Cecil the esteemed lion lived. He was the pride of Hwange National Park in Matabeleland North, Zimbabwe. Cecil had earned the prestige of being the center of attraction of the park. Moreover, he was a part of a radio tracking study led by Wildlife Conservation Research Unit (WildCRU) of Oxford University. Even the name “Cecil” was given by the WildCRU researchers. I can only assume that he may have been named after Cecil John Rhodes, based on the historical context, with Zimbabwe. In July 2015, Cecil was shot and wounded by a hunter’s arrow. A few hours later, he was tracked injured around 250 meters away from the spot where he was first shot. Some forty hours later, the hunter shot him again which ultimately took his life. When traced by the relevant authorities, Cecil was found skinned and beheaded. Hwange lost the iconic lion, the symbol pride for some Zimbabweans. Other Zimbabweans had either never heard of Cecil, or thought that there were more important issues at hand. Initially, it was reported by the authorities that the lion stirred out of its allotted area which ultimately triggered his killing. But later, and gradually, the true picture developed. After weeks of investigation, the officials of Zimbabwe identified the guilty behind the offense as an American dentist as well as a recreational big-game hunter named Dr. Walter James Palmer. Reportedly, Cecil was lured out of his protected area offering bait by the hunter and a local guide whom Palmer bribed considerably huge amount to kill Cecil. Later, the officials arrested two Zimbabweans based on the investigation in the matter. But by the time the case developed, Palmer had already returned back to America and issued a statement stating that upon knowing the fact that the lion was so famed amongst the public, he deeply regretted his action and also stated that he entirely relied upon the local expertise to ensure it was a legal hunt. He also claimed that he never knew the lion was a part of any study or research. The killing of Cecil ignited worldwide outrage among animal conservationists, politicians, celebrities and the masses. It is believed that the killing of Cecil has gathered the boldest response to a wildlife narrative in history. Zimbabwe suspended legal lion hunting temporarily for a period of 10 days. As per reports, initially, eight African countries which include Zimbabwe, Tanzania and Mozambique allowed consistent trade in the export of lion body parts. There were not many restrictions imposed and nor was the subject ever closely monitored. But after the carnage of Cecil, the concern came to the global limelight. A considerably large number of airlines prescribed the transport of animal parts because they believed it would invite negative publicity. Countries like Australia and France, which were believed to be amongst the most fascinated importers of animal trophies, straight away banned such imports. The United States, the largest importer of lion trophies, introduced certain new regulation for the protection of lions under the Endangered Species Act. On the other side, Palmer received death threats from various sources for the sin he had committed. He had to shut down his dental practice for a temporary period in order to veil from the rage of mass protest against him, both online and in-person. He went into hiding for weeks before he issued the statement justifying his outlook regarding his activities. The wounds of Cecil’s killing were still fresh while a recent event sparked another fury. Xanda, Cecil’s son, one amongst the 13 cubs Cecil left behind, met the same fate as of his father’s. Xanda was recently killed with the same intention as of his father’s kill- Trophy hunting. He was Cecil’s oldest son and was just 6 years old. He was also a part of a study led by the same research unit of Oxford University. He too was on the verge of attaining popularity like his father when on 7th July 2017, he was shot by a trophy hunter not much far from the spot his father’s body was recovered. Xanda was wearing a GPS collar which enabled the authorities to track his location. As per sources, Xanda was killed outside Zimbabwe’s Hwange National Park as a part of game hunt organized by a private hunter, Richard Cook. It is also reported that the hunter was a client of Richard Cook. Even though the authorities reported the hunt of Xanda could legal as it was executed within the stipulated guidelines, Cook refused to reveal the name of his client who reportedly killed Xanda. Xanda would often move out of the protected area. This is believed to be the reason behind the success of the killing. He has shot a mile away from the borders of the restricted area where the authorities state that hunting is legal. On being further enquired, the officials stated that conflicts between the wild and the human are quite common. Apt rules are yet to be framed to ensure adequate safety for both the inhabitants. Moreover, on account of frequent egress of the wild beyond the protected premises, certain rules which prohibit hunting within 3 miles outside the protected area are in the process of being implemented. In the aftermath of the execution of another lion belonging to the same family, once again the concern of wildlife exploitation ignited, and this time in social media. People from across the world are expressing their anger, grief, and concern over the matter on various social platforms. The officials of the park are facing worldwide indignation. Pressure is being imposed on the concerned authorities to respond to the bulk of questions raised on the killing of Xanda. Rising concerns over the fact that there has been constant degradation in the population of lions in the continent, as well as worldwide, adds fuel to the fire. Over the past five decades, the population of Africa’s lions has reduced from a hefty total of 200000 to a fewer than 20000 today. Many conservation foundations are struggling to enact a measure to curtail the reducing population of lions but by far it seems they have failed to succeed. Lions have now completely disappeared from as many as 16 African nations. As per the reports of International Union for Conservation of Nature (IUCN), over the past 21 years, the population of lions in the continent has dropped by 42 percent. Countries, including Ghana and Congo, have been added to the long list of nations who have lost all their lions. And the remaining nations predict extinction in not-so-far future. Despite the existence of various factors which justify the diminishing population of lions in the continent which includes increasing population, loss of habitat, natural calamities, etc. trophy hunting is something which has largely affected the lion population. Moreover, looking stringently at trophy hunting is the most important immediate preventive measure to contain the agony being faced by the species. As per the reports of Born Free foundation, the export of lion parts and whole lions has doubled within 2009-2013 as compared to the preceding 5 years. Convention on Trade in Endangered Species (CITES) trade database depicts a total of 6,652 lion trophies exported during 2000 – 2009. At an average, around 450 lion trophies are exported each year. Estimates suggest that trophy hunting raises more than $200 million a year across the sub-Saharan region of Africa of which, revenue from lion hunting amounts to nearly 5 – 17 percent. Despite the enactment of numerous laws and developments of national parks and wildlife centuries, despite the reservation of forests and training and deployment of “forest rangers”, the sophisticated network of poachers succeed in exploiting the loopholes in the framework of the law which ultimately enables them to accomplish their immoral desires. Sometimes, every single individual in the system is bribed to keep the lucrative trade on. Syndicates of criminals offer just two choices to customs officials, police and judges- take the money or take the bullet. What can you and I as tourists do to help? Ownership of these issues places a tourist in a unique position. It is very easy to enjoy your trips recklessly, without a moment’s thought as to the trail of damage you leave behind. Dr. Palmer did not fully consider the implications of his actions when killing Cecil. He may also have been misled by the local guides that were with him. It is every tourist’s duty to hold the local authorities accountable for services they offer you, which you think are inappropriate. When we look away, the locals keep feeding into our greed for fun. We simply cannot continue to let animals be shot. I am well aware of the need for culling as a control measure in some game reserves. If it can be used as a source of revenue for them, why not? Cecil the lion should not be treated any differently because he is part of an international study. There are other cases of lions and other animals facing a similar fate. We are all responsible. Report and dodgy dealers that you come across in your travels. Use social media to raise awareness of people you encounter, as well as the issues at hand. 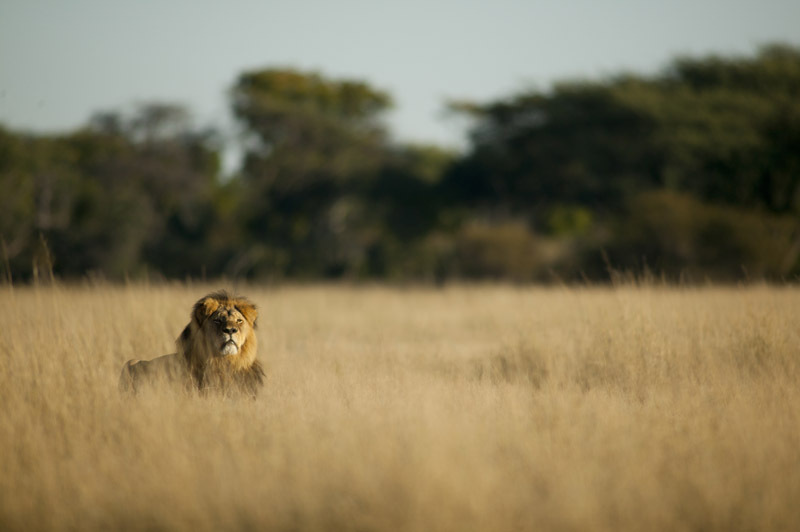 Has Cecil’s death changed the fate of Africa’s lions? Professor David MacDonald tackles this question in the video above. Take a few minutes to watch it and share your thoughts. We would also like to hear of any similar issues in other places where media coverage has not reached. The more of these issues we are able to bring to the light, the more we can push down the unscrupulous individuals behind it. We are also aware that some of these issues are far reaching, to involve government officials. Our goals is not for you to bump heads with any of these people. We just want them to know that we know what they are doing and are not going to be quiet about it. Have a look at: 10+ Incredible Places to visit and Things to do in Zimbabwe.